An Amazon courier demonstrates the trunk-locker delivery concept (Amazon). First it was delivery drones. Now, Europe is getting to test-drive another tech-based service before the United States: car trunks that double as delivery lockers. Amazon introduced stationary lockers for customers to pick up their packages in 2011, and now they’re experimenting with making those lockers mobile by delivering straight to your car trunk. A small group of Amazon Prime members in Munich, Germany, will participate in a trial starting next month. The pilot will only be available for those who drive cars from Audi, Amazon’s partner in the program, but will eventually be available for all Prime members. During the checkout process, a customer can indicate the approximate location of his or her vehicle during the delivery period. During the delivery, the courier receives temporary digital code bound to the order and opens only the trunk. The trunk locks automatically after the process is complete. Audi isn’t the first car maker to showcase the convenience that comes with digital car keys. The Mobile World Congress in Spain last year featured a demo by Volvo of how digital keys could be used to offer fast-food delivery to your car. “With comprehensive connectivity, we are transforming the car into a service device and integrating it even more closely into the everyday lives of our customers,” says Luca de Meo, a senior sales executive at Audi. 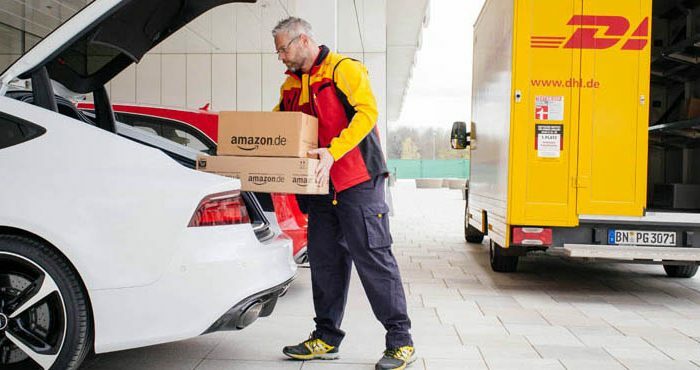 Amazon said that it was also working on a solution that would allow customers to have their return packages be picked up from the trunks of their cars.